Caption: 56% of private and public sector organisations surveyed now dedicate resources to gain insights into their personnel and what motivates them. While 44% did not raise their spending on human capital analytics in the last two years, 67% are now looking to increase their budgets, more than 18% of these by a significant amount. But 56% say they are just beginners in analytics and admit to lacking an understanding of how to leverage it for business value. 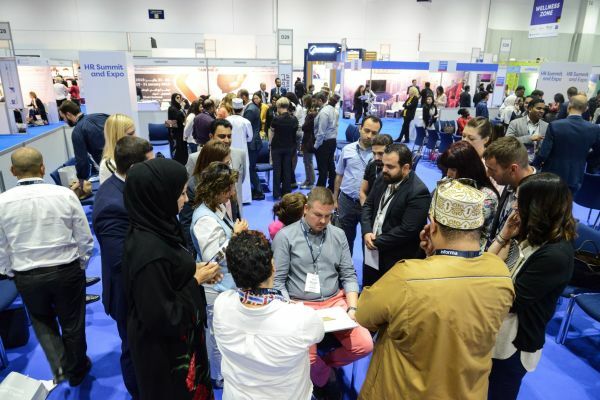 The survey was conducted in partnership with The Association for Talent Development and consulting firm the ROI Institute in the build up to the HR Summit & Expo 2018, taking place at the Dubai International Exhibition and Convention Centre from 12-14 November. HR experts speaking at the summit will highlight why businesses increasingly rely on data and analytics when making decisions, a process transforming the HR practice. “We live in a world today where technology outside the workplace has exceeded the digital capabilities delivered to the workforce,” says keynote speaker Jason Averbrook, Founder and CEO of consulting and education firm Leapgen. The 15th edition of the HR Summit & Expo is set to welcome more than 5,000 HR professionals who will have access to products spanning over 25 different categories showcasing the latest in HR technology. David Wood, VP Alliances EMEA at Cornerstone OnDemand said, “Unlocking the value of workforce data is a powerful and strategic move for organisations; I am not surprised to see the investment in people analytics continue to grow. With more than 110 exhibitors taking part, industry experts will have access to over 70 free to attend seminars which will be hosted on the show floor over the course of the event. Other summit speakers will be New York Times and Wall Street Journal bestselling author Dan Pink, Peter Cappeli, Professor of Management at the Wharton School in the US, and Julian Birkinshaw, Deputy Dean of Executive Education at London Business School. The HR Summit & Expo is supported by Headline Sponsors: Onpro, CivilSoft, Wharton University of Pennsylvania, London Business School, Aetna, SHL, PwC, Oracle, and StatusToday; Strategic Partner: FranklinCovey; Platinum Sponsors: Financial Times, IE Business School Corporate Alliance, Daman, XpertLearning, Cornerstone OnDemand, Cubiks and Infor; Gold Sponsors: Saba Halogen; and Silver Sponsors: HRSG, Workplace by Facebook.